Traveling with a local is my favorite way to find the best hidden gems in a destination. My sister Shannon has lived on Oahu for several years and she had a list of restaurants, food trucks and markets for us to try on our last visit. 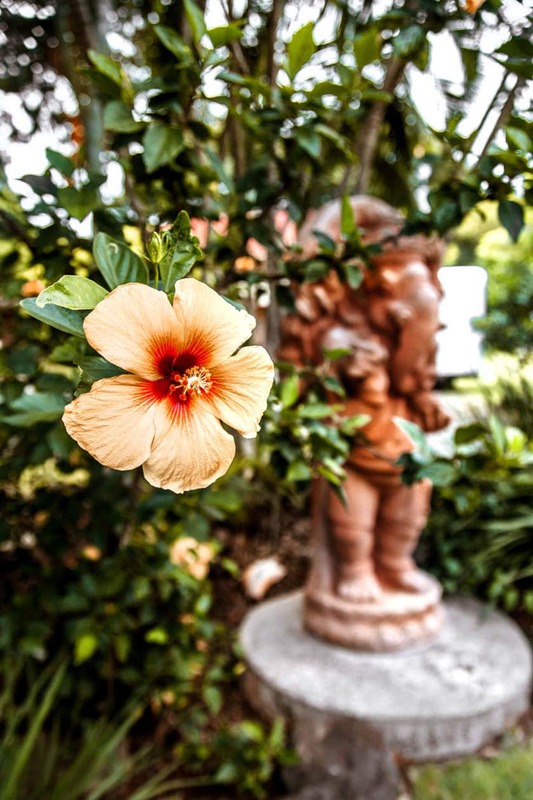 Whether we were driving through a residential neighborhood to an all you can eat buffet at the Hare Krishna temple, or tasting the best poke on the island at a chain grocery store.. everything we ate was memorable and delicious. 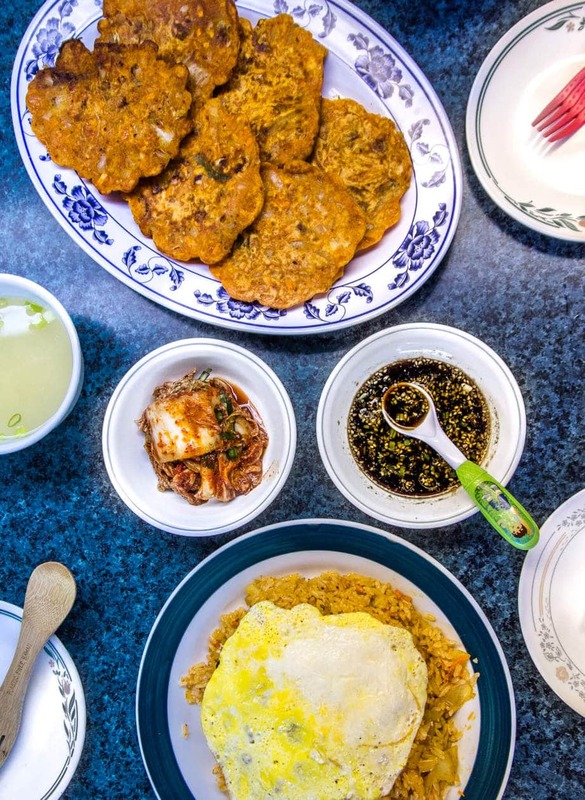 Keep reading for 6 off the beaten path places to eat in Oahu. 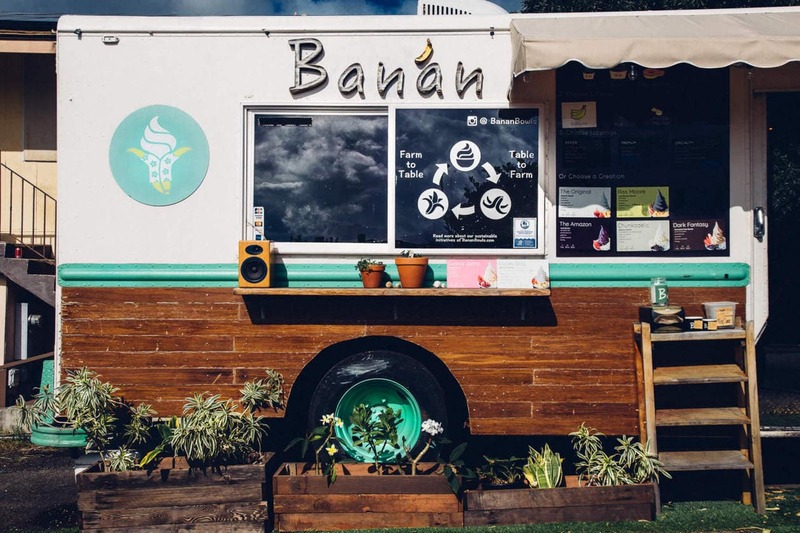 Banan is a cute lil’ food truck serving up healthy (vegan friendly) soft serve made from bananas and other locally sourced produce. Their mission is to support local farmers and boost the local economy with their products. 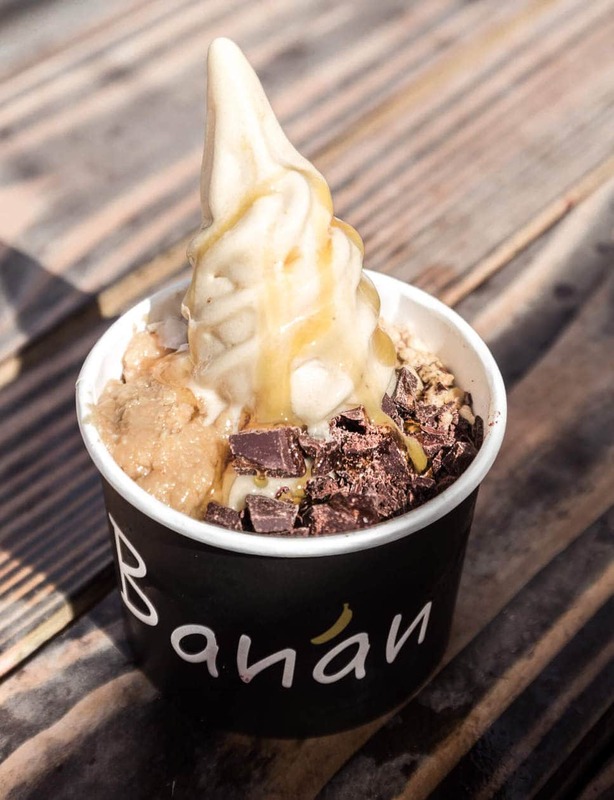 There are several Banan locations on the island, including a food truck at the base of Diamond Head, a location in the heart of Waikiki, a cube in the Kahala Mall and a storefront at the University of Hawaii. We visited Banan’s original food truck location near Diamond Head. There were a ton of different options from simple flavors to “creations”, which include other fruits and add-ons like coconut, honey and puffed quinoa. 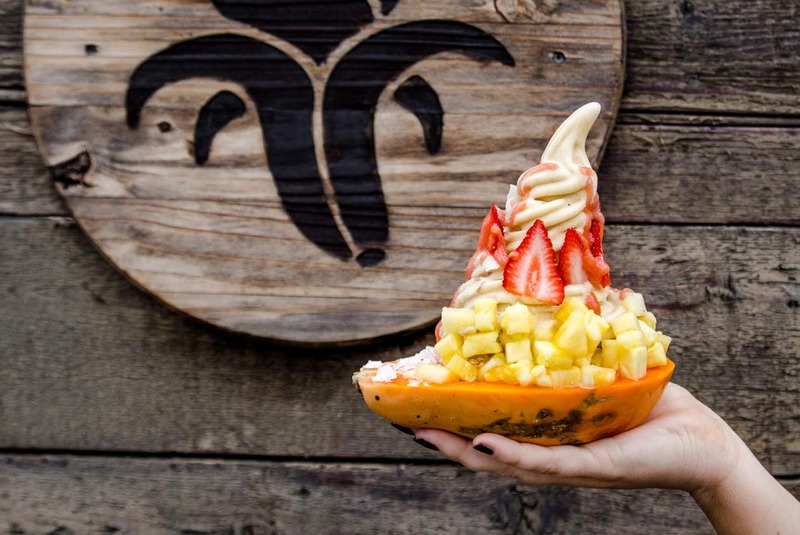 You also have the option to get your order served up in a perfectly instagrammable papaya bowl. 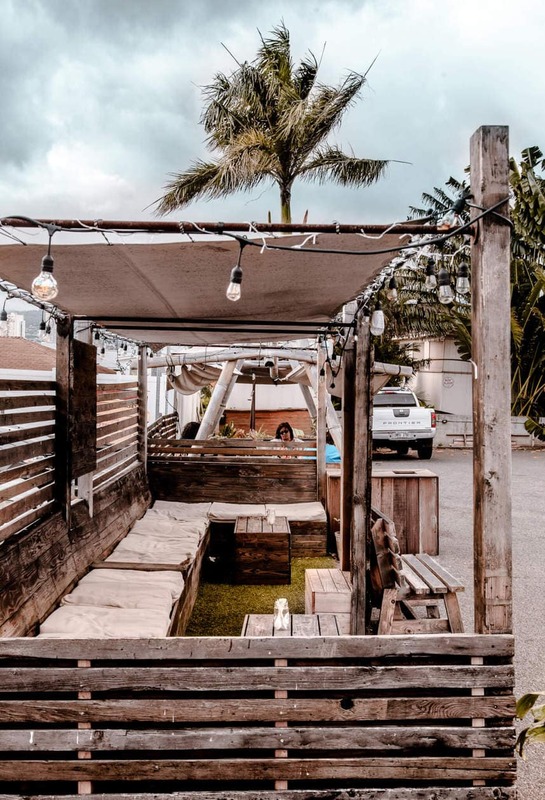 After choosing your soft serve, head over to their cute cabana seating area and enjoy! My favorite part about Banan is that they donate all of their food waste (about 1,000 gallons a week!) to a local farmer to feed his pigs 🙂 . For a list of Banan’s partner farms in Hawaii, or for more information click here. 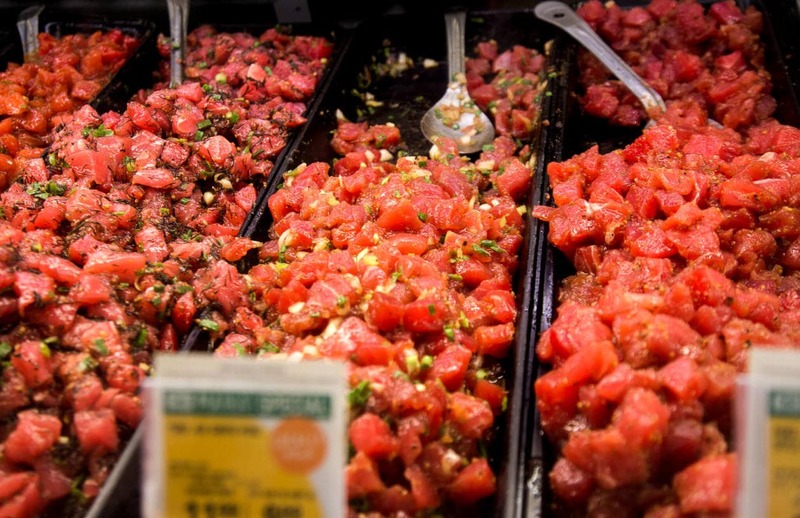 If I told you that you can find some of the best poke in Oahu at a chain grocery store, would you believe me? Don’t worry, I was skeptical too.. Even though Shannon is a vegetarian, she frequently gets asked about where to find the best poke whenever her friends visit her on the island. After polling locals from all over, the general consensus is overwhelmingly… Foodland. While we were in Kauai the week before, Nick and I made it our mission to find the best poke. We ate at all of the best reviewed markets and stores on the island, and each one was delicious in it’s own right. However after trying Foodland’s poke (we ordered the secret spicy ahi), we agreed that it was by far the best we had during our whole trip to Hawaii. For a list of Foodland locations click here. JJ Dolans is an Irish pub serving up New York style pies, and it’s one of the top places to eat in Oahu if you’re craving pizza. The restaurant has been ranked on Pizza Today Magazine’s Hot 100 ( a list of the nation’s best-performing pizzerias, ranked by sales) for three years in a row. 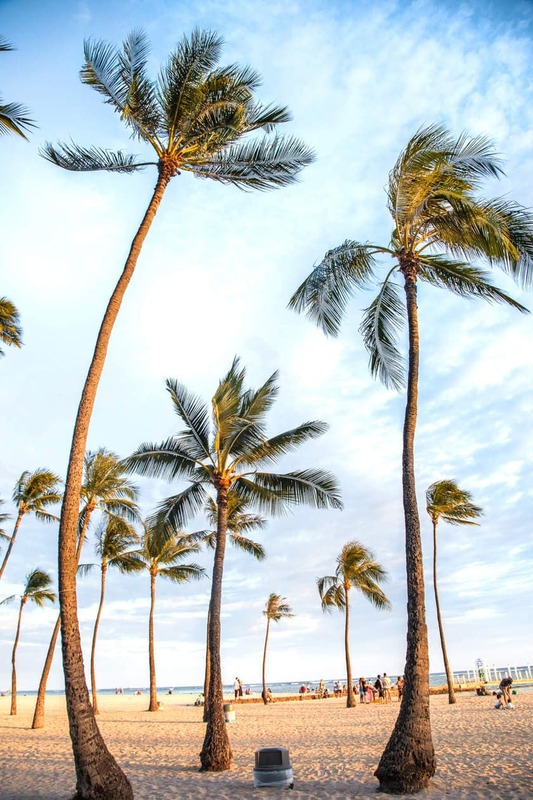 It’s also been mentioned as one of the top pizza joints in Hawaii by the NY Daily News, Thrillist, and The Daily Meal. 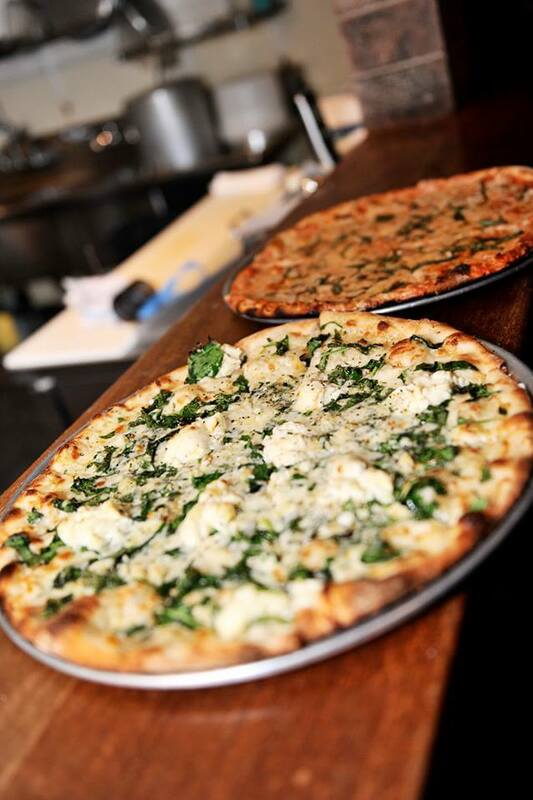 JJ Dolan’s dough is hand tossed with a touch of Guinness folded in, and their prices are very reasonable. There are people out there who get really particular about their pizza, and I’m not one of those people (I like it all).. but I can say that we ordered their White Pie and it was delicious. Govindas is a literal hidden gem. 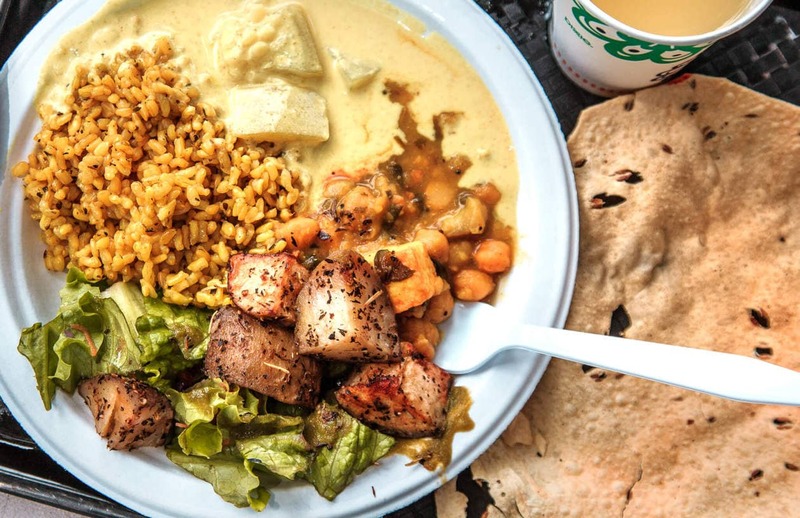 It’s tucked away in a residential neighborhood of Honolulu, and for $13 you have access to an all you can eat lunch buffet located on the grounds of a Hare Krishna temple. Govindas is only open for 3 hours each day during lunch, so it was a little hard to fit it into our schedule, but I’m glad we did. When you arrive, take your shoes off and enter the temple; the buffet is located to the left. The setting is very casual but I guarantee it’s one of the most peaceful places to eat in Oahu. 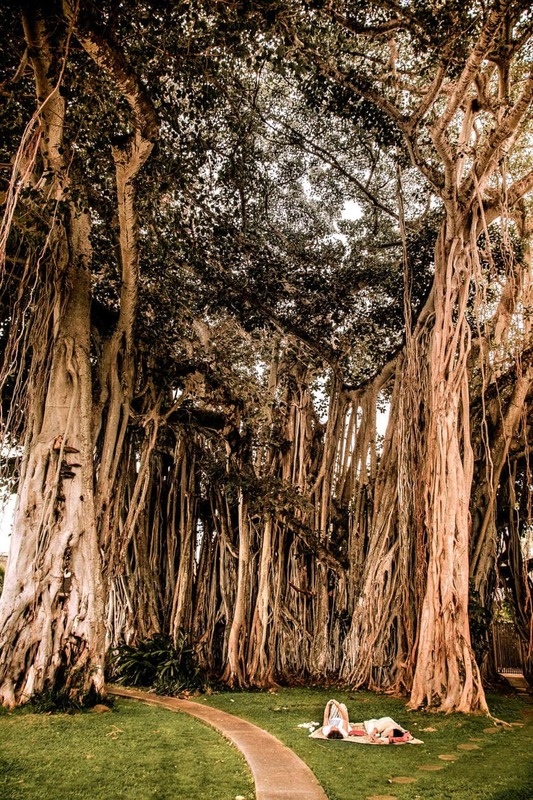 After grabbing your first plate, I recommend eating lunch outside under their massive banyan tree. The food is mostly vegetarian with a few vegan friendly options, and the buffet consists of a salad bar, rice, a few curries, dhal, roasted vegetables, plus a daily special. I asked Shannon to take me to her favorite restaurant on the island, and she led me into what appeared to be a tiny Korean general store selling everything from Aldo shoes (seems legit) to yellow onions. The menu is small but it’s ok because you only need to order one thing.. the kimchee pancakes. The lady behind the counter cooks the pancakes on her tiny grill. You will have a lot of questions but they will all fade away after you taste your first bite. 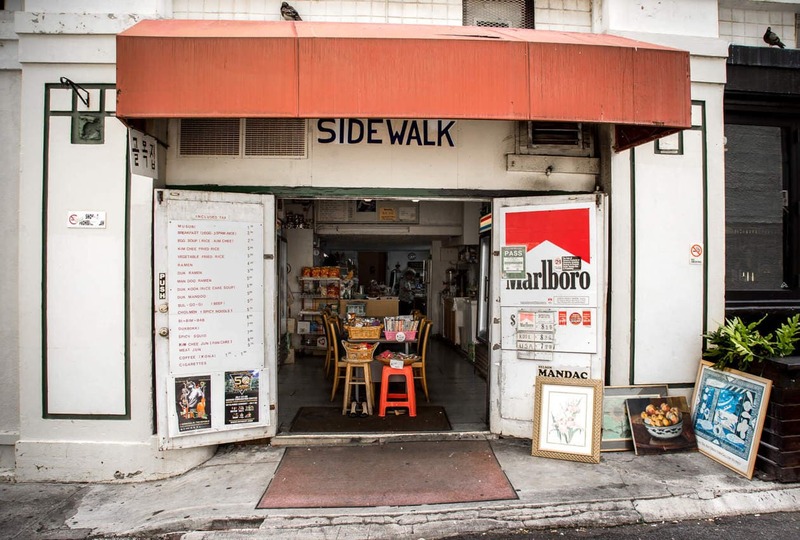 Sidewalk Deli is not going to be for everyone, but if you want a cheap meal and don’t mind a true hole in the wall restaurant, you will not regret it. It’s definitely an experience, and it ended up being one of my top favorite places to eat in Oahu. Sidewalk Deli is located next to Proof Public House on Fort Street Mall and Chaplain Lane. CJ’s is located in Hilton Hawaiian Village. It’s a New York style deli mixed with Hawaiian fusion, and it’s not a place that I’d normally pick. We avoided Waikiki during most of our trip but one of my sister’s closest friends on the island works here, so we popped in for a visit one afternoon. Forget everything else on the menu (seriously) and order the Haupia French Toast. 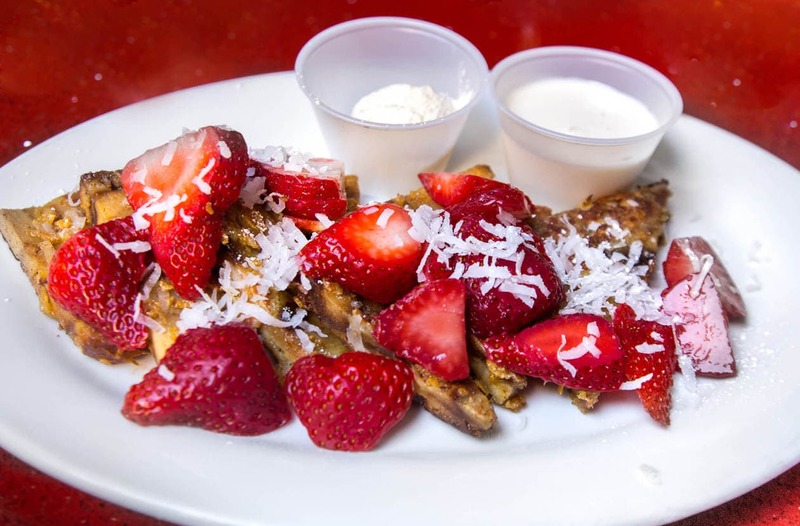 It’s made out of homemade bread pudding with a coconut and corn flake crust, coconut “haupia” layers, fresh strawberries and a homemade coconut rum sauce on top. 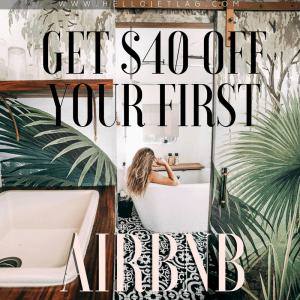 It’s so good you won’t even flinch at the (Waikiki appropriate) price tag. Did I miss anything? What are some of your favorite unique places to eat in Oahu? After living in Oahu for 6 months, I thought “been there, done that”, no need to go there again. Well, eat those words. Now I know I missed so much because of your wonderful pictures and invaluable information. So back again I will go.